Productiveness has not been my strong point lately. I keep getting distracted half way through things either by something new and shiny or because I’m just sick of whatever it is I’m doing. So, my Follow Your Arrow is still languishing part way through clue 4, waiting to be fixed, the badger cross stitch has some backstitching but it’s fiddly and quite hard to see. Then I was watching Joeli’s Kitchen podcast earlier today and she was talking about some quick hats she’d been making in Chunky or DK held double. I’m hoping that this might be a project I can actually finish and since I only had one head the last time I checked, I don’t have to make two of them. 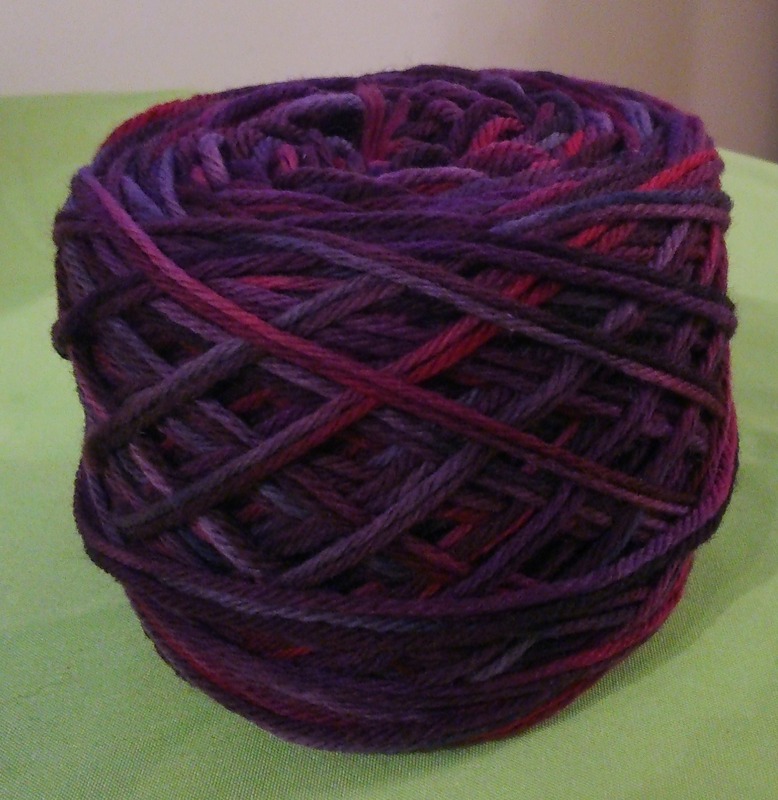 After a bit of stash diving I decided on some Boo’s Attic Lavishly Plump DK in Damson Autumn which I got at Fibre East. Thanks to a tip from Joeli, I’ve wound this into a ball held double and plan to cast on this evening in front of the Great British Sewing Bee. I like the Great British Sewing Bee and although I’ve not done much garment sewing at all and certainly not in the last ten years I still know what they’re talking about most of the time. It’s really interesting to see the different interpretations of the same design and I’m impressed by what they manage to achieve in such a short time. 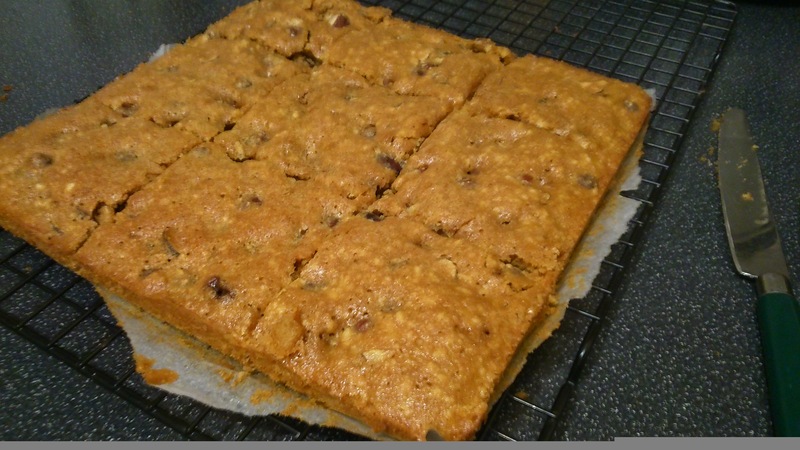 To go with the Sewing Bee, I’ve taken some inspiration from the Bake Off and have been making Hazelnut bars from Cakes: 100 Everyday Recipes by Love Food. It’s not a recipe I’ve tried before but they smell good and now I just have to wait for them to cool. I’m not sure I got the consistency of the batter right, I seem to have ended up with something a bit like sticky crumble topping but I’m sure it will taste fine.